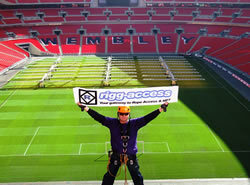 This site is owned and operated by the world leading www.rigg-access.com website. Companies all over the world use our service to successfully recruit their people - they have done since we launched online way back in 1997. Sign up is free, easy and takes less than a couple of minutes to get started, once added you'll be part of one of the worlds' largest online international NDT technicians communities.